Our presindent Igor Solodov offer to Yury Scherbina (President of Ukraine Kettlebell Sport Federation) to hold competition between our teams: Russia and Ukraine. Ukrainian team is world champion of IGSF, russian team is world champion of IUKL. Who is stronger? Igor Solodov wants to do in in Belgorod (russian city on the border between Russia and Ukraine). According Igor’s plan there will be one partisipant from each country in every weight category. But in Russia and in Ukraine we have different weight categories. But we still haven’t response from ukrainian team. I think it will be very interesting event! 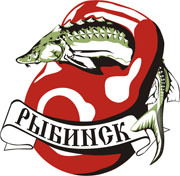 We have semi-final of Russian Championship in Rybinsk on April 12-14. I will be one of organizers and I want to invite many external perticipants. We will do especial nomination among external competitor. Welcome in Rybinsk on April 12-15. You can see many great russian athlets and compete with them. Two days ago I came back home from Poland. We with Global Kettlebell Institute did first course with certification and any workshops in different cities. After this course we did three short workshops in Wroslaw for polish military, in Kepno for polish police and in Lodz in fighter school. Every day in end of our workshop I was showing demo set 3 minutes of jerk with 32 kg kettlebells. It was great week. All participants of our events like it. You are currently browsing the Online Kettlebell Coach weblog archives for November, 2010.